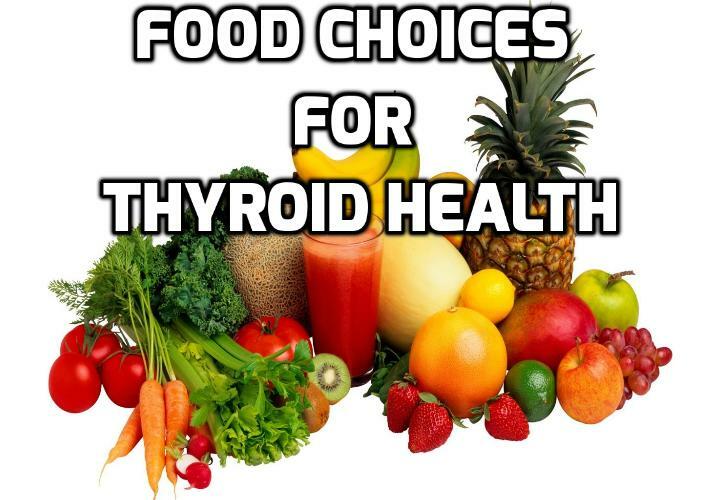 Why Make Conscious Food Choices for Thyroid Health? Being healthy means making smarter food choices. When you make conscious food choices you are choosing to eat the most vital, nutritious food possible. That’s not only good for you, it’s good for the planet. Your daily food decisions can also help heal your thyroid. It’s hard to feel fully alive when you eat dead, overly processed food. This is definitely the type of food to avoid. This is especially when you are taking important steps towards thyroid health recovery. The fact is, food can literally make you sick or vibrantly well. Junk food and over-processed foods can literally make you sick at a basic thyroid cell level. For my money, the most damaging food choices to the thyroid are: artificial sweeteners, Canola oil, soy oil, polyunsaturated vegetable oils, hidden soy and corn (maize) ingredients and high fructose corn syrup (HFCS). When it comes to making for food choices for a healthy thyroid diet it is good to stay flexible – I think it’s important not to be dogmatic. Having a rigid state of mind can be just as unhealthy as eating junk food! Instead discover what healthy foods resonate with you. Ensure you eat a wide variety of fresh foods so your body gets all it needs to stay healthy. Focus on which foods feel right for you, the foods that make you feel GOOD. This ‘keep it simple’ approach places an emphasis on fresh produce that will help you heal and feel WELL. In my living food kitchen I couldn’t do without raw coconut oil, activated nuts and seeds, fresh seasonal fruit and veggies for juicing, a selection of organic greens, and plant-based protein powder for my daily protein shake. YUM! Next PostNext Thyroid Remedy – Is Taking Too Much Bladderwrack Dangerous?